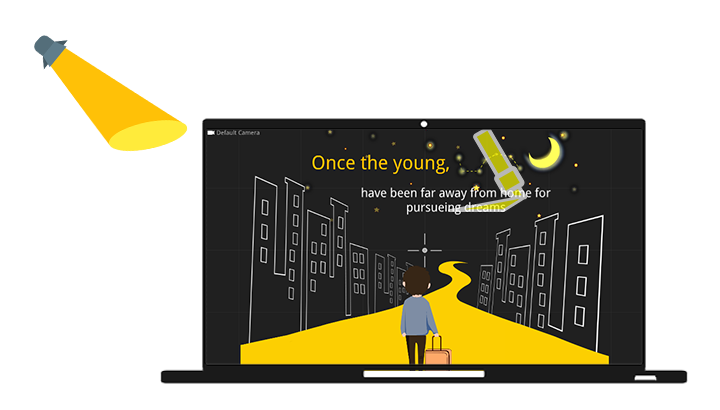 working with this drag and drop creator. What you'll love about Animiz is its creative cases across a lot of categories, ranging from business to education. You can watch these case videos at animiz.com to find inspirations for your own animation creation. It is also available for you to download the source project of the case, and directly use the source project as the template on the basis of which you can create a project quickly. The Animiz library contains types of professional quality labels, including blur, mosaic, spotlight, and highlighter. All of these labels are easy to add to the canvas for you include in your project, which will work well to give emphasis to some message, and entertain viewers. You have the ability to change the property, position and size of these labels to make meet your exact need. If necessary, rotate these labels to any angle that you wish. A number of royalty-free actors are at your disposal in Animiz. 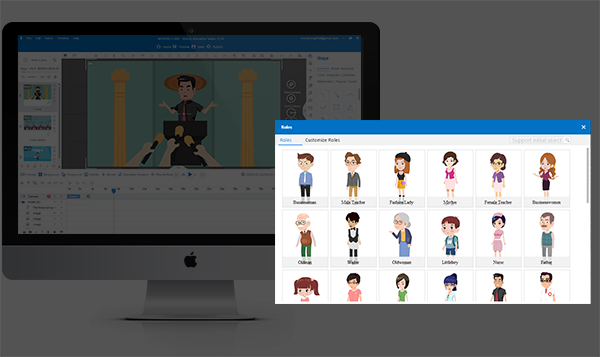 From flash actor to GIF actor, Animiz's animated characters will instantly capture your audience. You can choose a specific actor to match your topic. In addition, you are allowed to select an action effect from the lists for a specific selected actor, which gives enough flexibility for you to use the same actor for different needs. Instead of a pen drawing in a whiteboard animation, imaging a hand holding a pen drawing elements across the canvas. That's the hand-drawn animation offered by this whiteboard animation creator. You are able to browse through the library of entrance animations to find this effect, which can be applied to any element in a few clicks. Your audience will be amazed by the entrance way of elements with this animation in your project. Take a look at well-designed cases on the website of Animiz to get inspired to create your own project. Add media as the project content. Use professional quality labels to give emphasis to some contents.